I got the inspiration for this from paper, crafts & scissors. 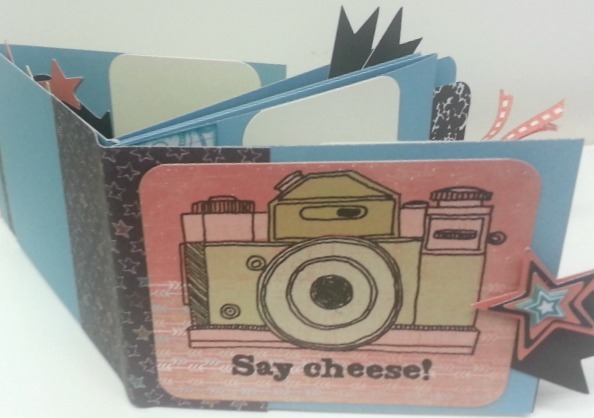 score the cardstock at 4" & 8"
flip the page and score at 3", 6" and 9"
Can't wait to try. You always have some of the greatest ideas. Any one going to Nancy Klein Thrivin' 30 Event will be making one. Thank you for sharing this. I think that I'm going to have to try this out this week. I like the idea of this little mini going inside of a bigger mini as an insert. Thank you so much for sharing this.